HINESVILLE- As Liberty County residents continue to save lives in impressive numbers, the American Red Cross is pleased to host convenient blood drives at Liberty Regional Medical Center located at 462 E.G. Miles Parkway in Hinesville. The American Red Cross collects blood all over Georgia and then distributes it to 140 hospitals in the state. Blood shortages create severe problems in the region because there are not enough blood donations to meet the needs of local patients. Every summer, there is a nationwide blood shortage and surrounding states do not have extra blood to send to Georgia. There is no substitute for human blood and the only source is volunteer donations. 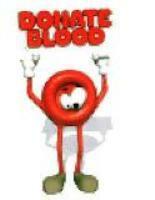 To be eligible to give blood, a person must be 17 or older and weigh at least 110 pounds. Most healthy people can safely donate blood, even those with medical conditions such as high blood pressure, diabetes, and many other common health problems kept under control by medication, diet or exercise. The American Red Cross will hold blood drives inside in the classroom facilities or in the bloodmobile in the parking lot at Liberty Regional Medical Center. In addition, donations can be made at fourteen blood donor centers in Georgia including the Savannah Donor Center at 25 Tibet Avenue. For more information, including times and locations, and to make an appointment to donate, please call 1-800-GIVE LIFE (1 800 448-3543) or visit www.givebloodredcross.org. You may also contact LRMC directly at 912-369-9400 for more information.